Now that the weather is getting warmer, we thought we’d suggest some day trips you could take around Southern California (or at least cool places to visit if you are in California on holiday). 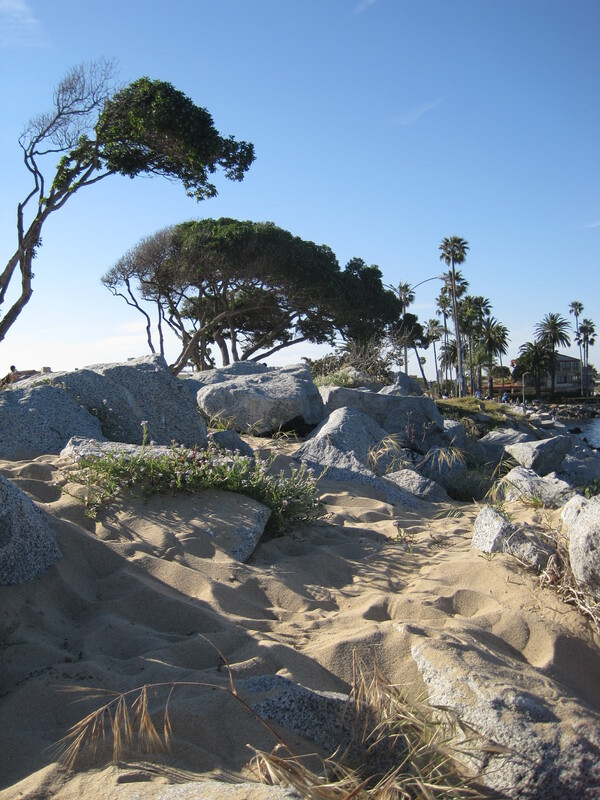 First up is Balboa Peninsula in Newport Beach, CA. Growing up in OC, this was the place to hang out on warm summer nights. 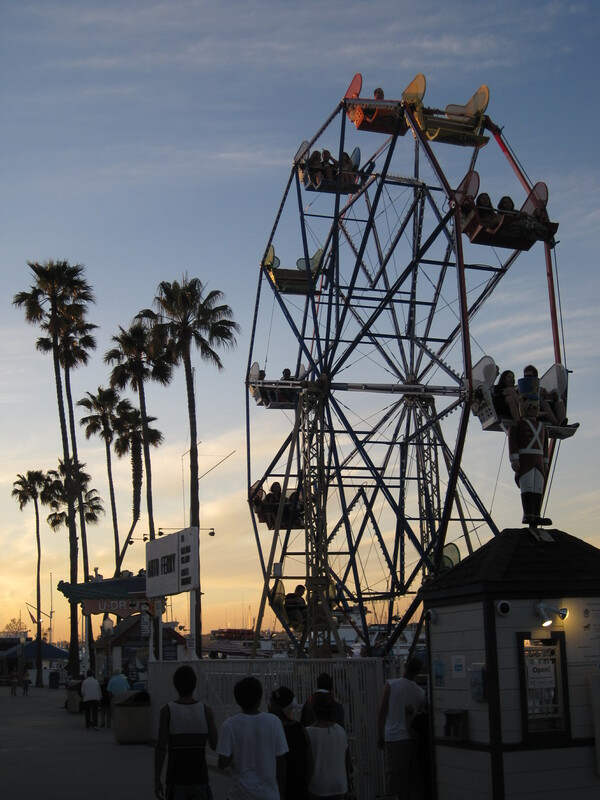 Less crowded than the more famous “Surf City”, it is home to things like arcades and ferris wheels, which give the area more of a fairground vibe, which tends to be more teenager friendly than the “how many bars CAN we squeeze in to one square mile?” feel of Huntington Beach. Also, it’s a very affordable way to spend the day. There is a pay parking lot near the pier, and many the metered space immediately near the downtown area, but if you open to taking a bit of a walk, free parking can be found farther down along the peninsula in the more residential areas. 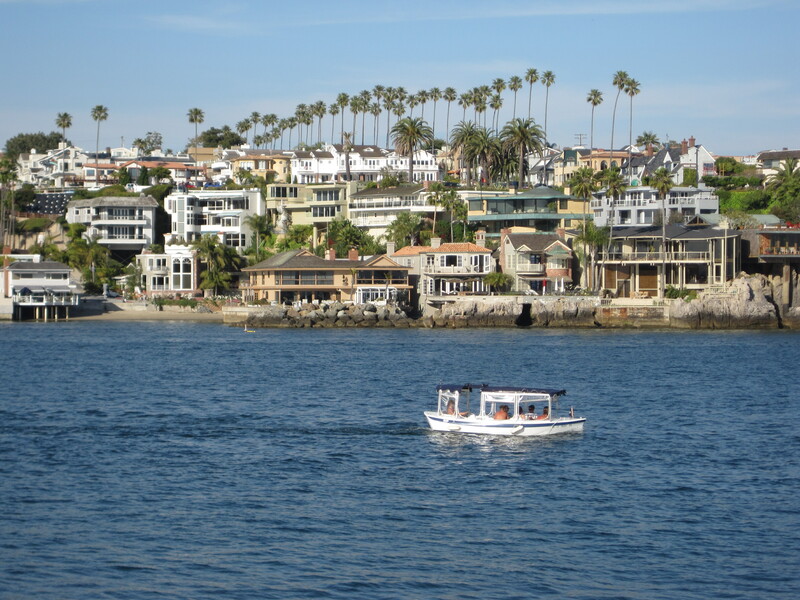 I’d highly recommend this option, as there is plenty to see as you wander back to the pier area – from the amazing architecture of the custom mansions to watching the boats coming into the harbor to just strolling down a couple miles of almost deserted sandy beach is worth it all on its own. But before you head to the pier, why not wander down to the famous “Wedge” at the end of the peninsula? 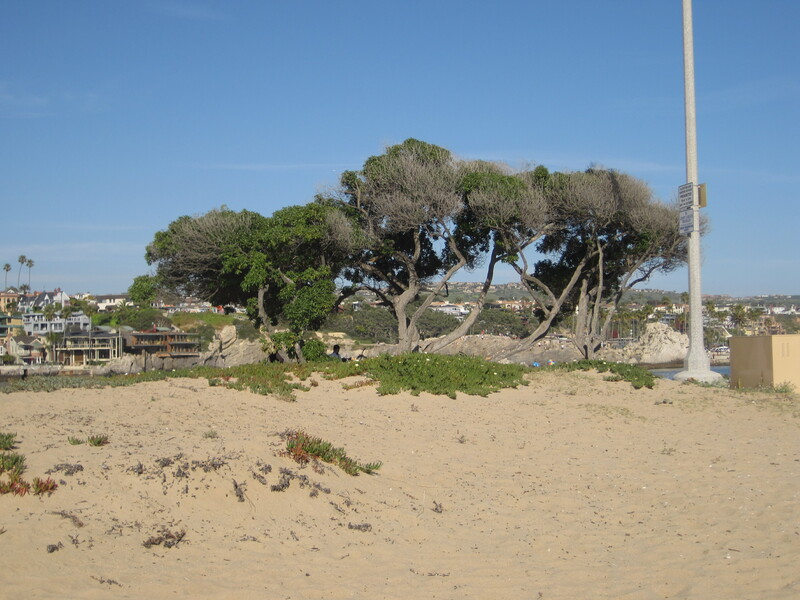 There are even a couple of trees to shade you as you watch the boats wander in and out of the harbor or the surfers braving the notorious waters. 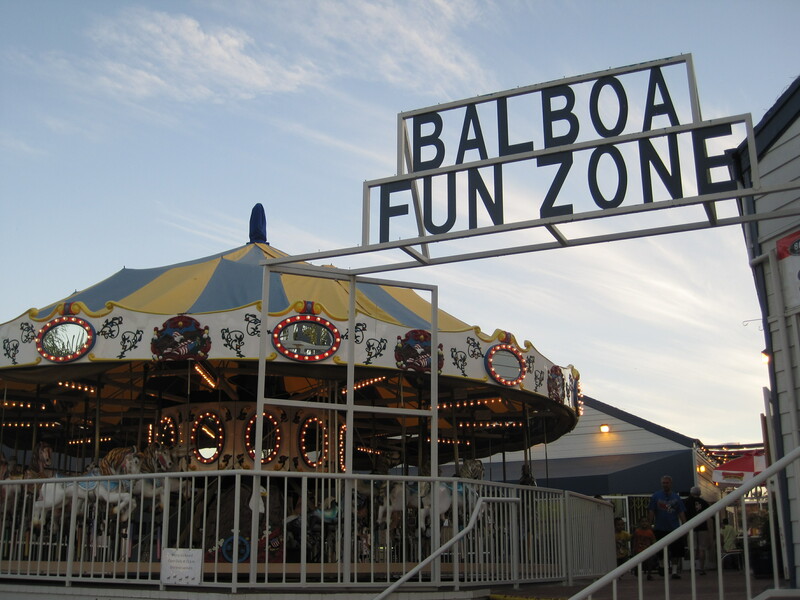 Back at the downtown area, you can visit the Balboa Fun Zone, home of a couple of arcades, a carousel, a Ferris wheel with a terrific view of the whole Balboa area, and a ferry that will take you over to Balboa island for just a buck. It’s pretty easy to entertain yourself for a couple of hours for under $10. On the day we went, the little one tried out the bungee jump, which was pretty entertaining just to watch. At $8 it was the most expensive thing we did all day, and that’s still less than the cost of a movie. 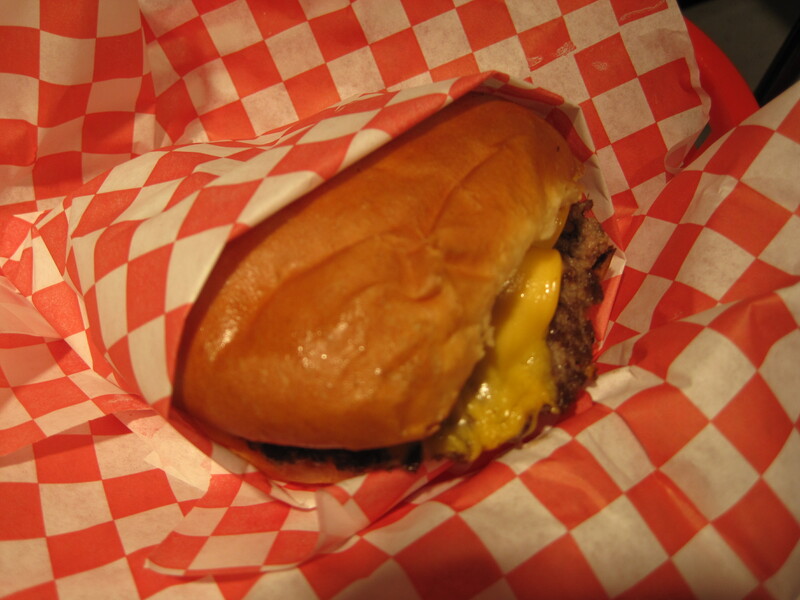 For dinner, we tried out the Streamliner Diner, a little burger place in the spot formerly occupied by the bumper cars attraction. 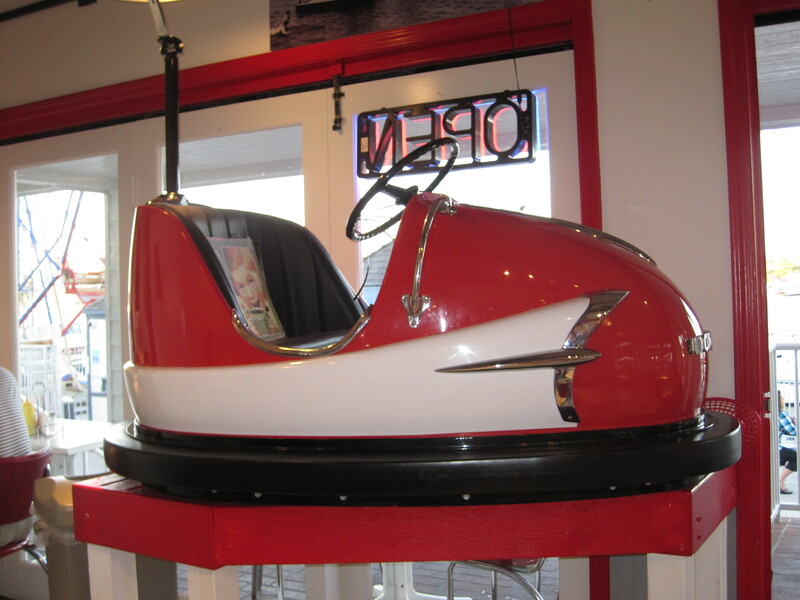 They even have one of the original bumper cars in the dining room for you to look at while you wait for your food. I do have to warn you, the day we went it took a long time to get our food, but we had such a great view of the boardwalk and the sunset, we didn’t really mind. 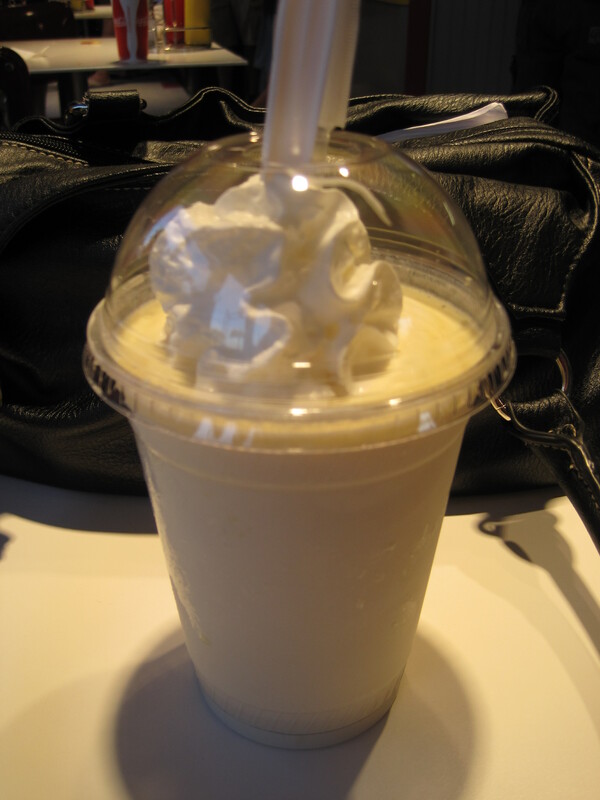 It helped that we did get our shakes really fast, and they were really tasty – thick and creamy. They even had a 50/50 shake the day we went, which is my favorite. Not as many flavor options as the Ruby’s at the end of the pier, but cheaper, and it doesn’t require the walk down to the end of the pier and back. While the burgers were quite tasty, the hot dog seemed a little small for being over $2, but the chili was fantastic. We especially recommend the chili cheese fries, which would at least give Tommy’s a run for their money. Finish the day with a nice leisurely stroll down by the pier to watch the sunset. This is summer as it should be.